Glossary of Acrylic Painting Terms – The Ultimate Guide for Beginners. Ever come across a painting tutorial and been stumped by new terms and phrases? What is an Interference colour? Or a Tar Gel? Inspired by one of the art school’s readers (cheers Carl!) I’ve compiled a guide to the most commonly used terms in acrylic painting. Atelier – a small artist run studio school where students study the style and techniques of one artist. Atelier means ‘workshop’ in French, it is pronounced atel-yay. More commonly associated with oils, but we’re rebels! Artist quality – the best quality (and highest priced) paints you can buy. 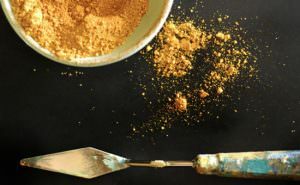 They have a higher pigment load (amount of dry coloured pigment) compared to student quality paints, so a little can go a long way – see: 8 differences between artist quality & student grade paint. 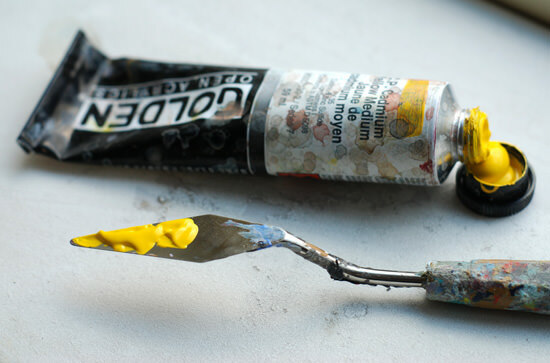 Acrylic Gesso – an alternative to traditional Oil Gesso, using modern materials. It is a combination of chalk (Calcium Carbonate) and an acrylic polymer medium latex. The Calcium Carbonate increases the absorbency of the primer coat so watery washes of paint can ‘grab’ to the surface. Paint is then added to colour the mix, usually Titanium white. Most ‘pre-stretched’ canvas’s bought from art supply shops have had a few layers of Acrylic Gesso applied in the factory – see: How to prime a canvas with Acrylic Gesso. Binder – this is the substance that ‘binds’ a dry pigment together. For oil paints, Linseed Oil is the binder, for acrylic paints, Acrylic Polymer is the binder. Blending – this describes a gradual transition between two colours, it is usually created when both paint colours are wet. As soon as one paint dries, creating a smooth transition can be impossible! This is often the biggest issue with acrylics due to the quick drying time. Big look – observing the subject or painting as a whole. This allows you to view the relationship of the whole image working together and is often achieved by stepping back from the piece to get an overview – in contrast to working each small section at a time. 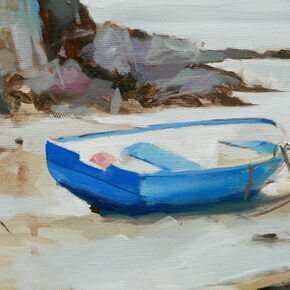 Blocking in – when you are first establishing the basics of a painting, you ‘block in’ the general colours or tones – the paint is often watery at this stage so you can easily paint on top of it. 90% of the blocking in will be painted over so don’t be too precious, just get the paint on the canvas so your eyes can start judging colours and adjust to the scene. Canvas – Canvas is broadly split into two main areas, Cotton and Linen. The most common used is Cotton duck canvas and is suitable for oils or acrylics. It is a reasonable price to buy and is available in large sections from the roll. So why doesn’t everyone use cotton all the time? The cotton canvas absorbs water, which has its advantages and disadvantages. The pros are the ability to paint with watery washes, or to soak the canvas surface and apply staining effects. The cons are because it absorbs moisture, it can stretch and shrink depending on humidity. This is why on the back of stretcher bars (the wooden frames than the canvas is stretched upon) you’ll find expandable corner joints and wooden keys. These are used to adjust the tightness of the canvas surface if it begins to sag due to a change in atmosphere or humidity. Linen is more resilient to changes in humidity and the fibres used in the manufacturing process are also longer lasting than cotton. This is why it is often a preferred surface for portrait painters due to the longevity of the material. It is more expensive than cotton. So when you buy a ‘canvas’ from the art store, it will usually be a pre-primed, cotton duck canvas. This means the surface has had an Acrylic Gesso applied in the factory and is ready to paint straight onto. Cotton duck – is a name for the type of textile used, the ‘duck’ comes from Dutch doek, which means cloth. Canvas weight – this refers to how thick the canvas is, usually labelled in ounces, 8oz, 10oz, 12oz. The choice of the weight of the canvas depends on the size of the painting and each artists personal preference. When a painting gets any larger than 6ft a 12oz weight is best – why? Because when stretching the canvas you need to apply strong pressure to the cloth to get a tight drum like finish and the danger is with a lighter weight canvas it can rip – see: How to choose a bespoke canvas. Canvas tooth – the ‘tooth’ of the canvas describes the coarseness of the weave on the canvas surface. It is this jagged surface that helps to pull the paint from the brush onto the painting. Canvas is available in a variety of textures from extra fine (good for fine detail portrait painting) to coarse (good for textural, gestural painting) a medium texture is a good all rounder to start with. Curing – this is when the acrylic is drying, but not fully dry. OPEN acrylics have a longer curing period than standard acrylics. Consistency – the thickness or thinness of paint, basically how the paint ‘feels’ on the brush or canvas. Cool – There are 2 things to consider in painting when using the word cool. The position of the colour on the colour wheel. For example, red is warm on the colour wheel, blue is cool. The coolness of the colour in relationship to another colour. 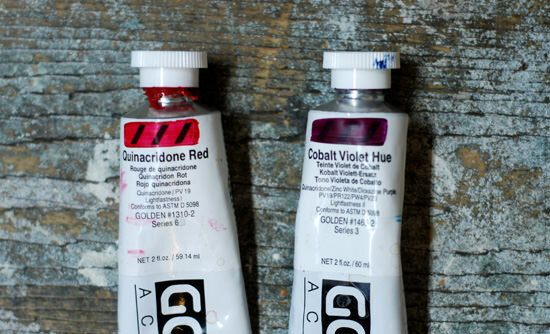 For example, Alizarin crimson is described as a cool red in comparison to Cadmium red – but Alizarin crimson is warm in comparison to Ultramarine blue, which is cooler – but not as cool as you if you’ve understood this! Direct painting – usually associated with oil painting, this describes a painting technique that uses solid, opaque blocks of colour. Rather than optically changing the painting by applying thin layers of paint like scumbles and glazes. Dry Brush – an effect when you have very little moisture on your brush, to apply the paint you need more of a scrubbing motion and the result is called a scumble. Flow medium – an liquid medium (Acrylic Flow Release) you can add to acrylic paint to increase the flow consistency whilst maintaining a solid paint film, this results in a more liquid paint with colour particles that ‘hold together. The most noticeable benefit is for staining effects. It allows the paint to soak into a canvas really easily, rather than using alot of water to dilute the paint, which can sometimes result in the paint ‘pooling’ on the surface. The flow medium breaks the surface tension. Glaze – a thin layer of paint used to optically affect the colour underneath. The underlying colour is already dry when the glaze is applied to add depth of colour and help fuse hard edges. Traditionally glazes were used on top of a black and white underpainting called a Grisaille, if you imagine glazes like a stained glass window, so the clearer the window, the cleaner the glaze. The best paints to use for glazes are pigments that have a translucent quality. Modern man-made pigments can give you the cleanest glaze colour as the paint properties are already translucent. These are often pigments with names that are hard to pronounce! Such as Quinacridone Red or Anthraquinone Blue. Ground – this is another name for the surface you are painting onto, if you just apply a white primer to your canvas, it can be described as a white ground. Gel – a semi-solid material that you can mix in with your acrylics to drastically change the texture, consistency and can make your paint go a lot further. They vary from hard pastes to Tar gels that have the consistency of…. well, tar. See : How to use acrylic gels & mediums to see a demo. Grisaille – using shades of grey in an under-painting to establish the tonal values of a painting. Traditionally used in portrait painting before applying coloured glazes to work the painting up to a full colour portrait. Glazing Liquid – a medium that you can mix in with your acrylic paints to extend the working time and blending qualities of the paint. 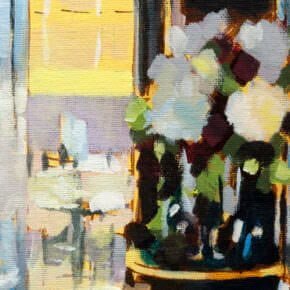 It is very handy for glazing if you are working at an easel because you can work in thin layers without the paint dripping down the canvas – this would happen if you only used water to dilute the acrylics. see : How to use acrylic gels & mediums to see a demo. Highlight – this is the lightest ares of a painting. Pro tip: It is best to apply the highlight towards the end of your painting once you have modelled the form underneath, have a look at the final parts of the cherry painting to see how this works. Interference paint – when viewed from different angles the paint appears differently. Painted over a dark colour you can see one colour, paint the same colour over a light background and you see the complimentary colour. Add a very small amount of black to Interference colors to produce deeper, richer, opalescent effects. Impasto – A thick application of paint, with textured marks or brush marks still visible. Impasto suits Acrylics very well due to the quick drying nature of the paint and the texture gels you can add in with your mix. Impasto can be applied with a palette knife but usually refers to a brush application. Think Lucien Freud or Van Gogh application. When dry, impasto provides texture and the paint sits proud of the canvas. 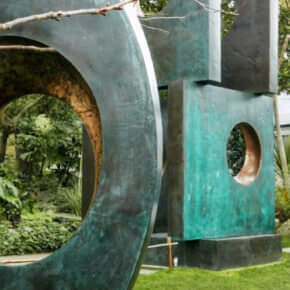 It can be handy to convey a sense of form and to create a three dimensional sculptural feel. In classical portrait painting the darks where kept thin and translucent and the lights thick and impasto. 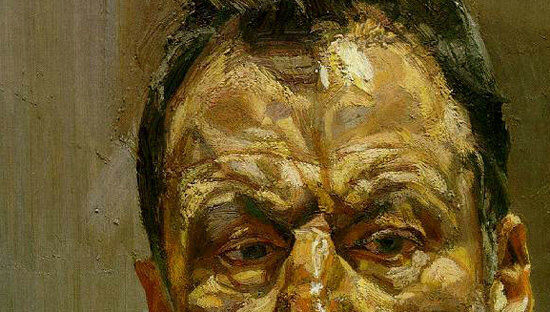 Notice how, in Freud’s painting below, the highlight on the forehead is the thickest impasto part of the painting, especially in comparison to the thin background. Limited palette – When you deliberately restrict the number of colours that you are using in a painting. Instead of using 20 colours a limited palette would be 5. Notable realist painters, such as Singer Sargent, have used a limited palette extensively throughout their entire painting career. Load (pigment) – this refers to how strong the pigment is. Artist quality paints have a stronger colour and can be describes as having a ‘high pigment load‘. It describes the amount of pigment in the paint, compared to the amount of binder or other additives in the paint. Each paint has its own maximum pigment load as some pigment need more binder added to them just to be able to mix the raw material into a usable paint consistency. Load (brush) – how much paint you have on your brush. Masstone – the appearance of a paint colour when squeezed or applied in a thick blob of paint without dilution. Medium – is anything you mix in with the paint to change its consistency, for example, water is a medium, Glazing Liquid is a medium. In Oil painting mediums often have a constantly changing recipe, depending on what layer of the painting you are on. Open Time – length of time the paint remains wet enough for the brush to move through the paint. Opaque – a pigment that doesn’t allow light through, as opposed to “Transparent” which is the opposite, and does let light through. Every paint pigment varies in it’s opacity due to it’s ingredients. On artist quality acrylic paint tubes, there is an indication by an actual painted swatch that will show you how opaque the pigment is – see The differences between Artist Quality and Student Grade paints for an example. Palette – the surface that you mix colours onto, this can vary from wooden palettes, to glass, to tear-off paper palette. Acrylics, due to their fast drying nature, benefit from a stay-wet palette. An absorbent paper layer that is soaked with water – this acts as a water reservoir. A sheet of grease-proof paper – this acts as a membrane to stop all the water going into the paint immediately. 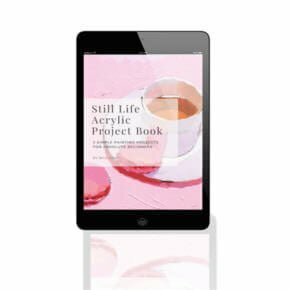 You lay your acrylic paints out on top of the grease-proof sheet and as the acrylics dry (they dry by evaporation) the water in the paint is replaced by the water that is held in the absorbent paper layer. They can be great to extend the working time of your paints, just be careful if you use student quality paints as overnight the water can dilute the paint so much you’ll find your very own Jackson Pollock waiting for you in the morning! Pigment – this describes the raw material that all paints are made from. Natural or synthetic materials are finely ground and mixed with a liquid binder into a paste to make paint. The binder can sometimes be called a ‘vehicle’ so for oil paint, the liquid vehicle is oil. The differences in properties of the paint, opacity, durability, light-fastness etc, all depends on the raw ingredients used. Permanence – How permanent the paint will be overtime, for example, Permanent Alizarin crimson is more resilient to changes in atmosphere, exposure to light etc, than standard Alizarin crimson. Retarder – a medium you can add to your acrylics to extend the drying time slightly. It slows down the chemical reaction but you can only add about 15% retarder to your paint mixture or the results are a weird tacky paint. Rheology – this describes the flow properties of a paint or gel, it is often described as either “a long rheology” (like treacle) or “a short rheology” (like peanut butter). Stretcher Bar – the wooden frames than raw canvas is stretched around. Support – this describes the surface that you paint onto. It can be canvas, paper, board, all can be described as a ‘support’. Scumble – A thin application of paint, similar to a glaze, but using semi-opaque and opaque pigments to alter the effect of the underlying paint. Usually applied with quite a dry brush effect. Tinting Strength – this is a measure of much or how little paint you need to alter white. So for example, Terra verte has a low tinting strength so you need a lot of paint to alter your mix, whereas, Phthalo blue has a high tinting strength and you need only a tiny amount otherwise you overpower the other colours. Undertone – this is how the paint appears when a very thin coat of paint is used. It’s easiest to see over a white background and is very useful for determining a colour bias, which is usually hard to distinguish when just looking at the masstone. Vehicle – the liquid part of the paint, in which the dry pigment is dispersed. Wash – a thin watery consistency of paint diluted just with water. It is most commonly used in the first blocking in stages of the painting, to gain an overall sense of the colour scheme. Xylophone – just checking if you’re still reading! Are there any acrylic painting terms you’re still unsure of? Next week I’ll be posting a glossary of Oil painting terms. Xylophone …wooden block used for toning!! Fabulous information at your site. I’ve watched so many of your videos now that I feel like we are friends! How about the word “scrumbling’? I have a painter friend who uses that word when she is painting. She says she is scrumbling the paint onto the canvas. Have you heard that word??? Great suggestion, the word your friend uses is ‘scumbling’. This is a cross between ‘dry brush’ and a ‘glaze’. It is a thin application of paint, yet instead of using a transparent pigment ( as with glazing) you use an opaque pigment. Or any pigment really. It is usually applies over an already dry area of the painting. I’ll add it to the list! Loving your regular blogs etc. Have only just started painting after my school day efforts 45 years ago, so lots to learn. Your info is so informative and easy to follow. Hi Will. Love your lessons. I have learned a lot from watching and doing. 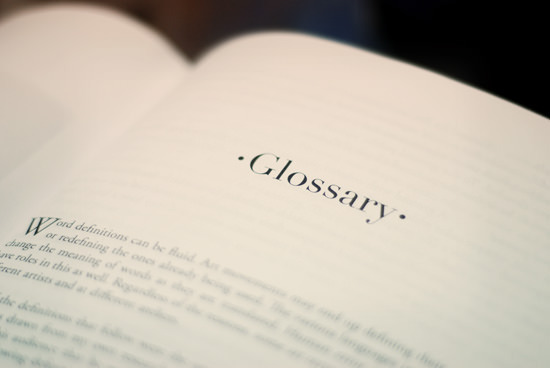 This glossary would be awesome as a PDF file that we could down load for future reference. Keep up the great works. Hi Cindy, thanks for the suggestion of a PDF, I’ll see what I can do. Ha ha ~ xylophone! Yep still reading and turns out I’m cool, mostly because you explain it all so well and with humour ;) Thanks Will. Hey Cool Carol, glad you enjoyed it! Thanks for the glossary! I knew some of the terms but there were plenty of new ones for me. I’ve recently gotten into water media (acrylics and watercolor). I’m trying to learn all I can as fast as I can. You’re teaching is really easy to understand and very clear. It’s also fun. I’m fascinated by the idea that Anders Zorn managed without blue – some explanation of how he did this would be great. 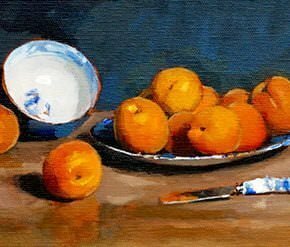 I googled Zorn’s paintings and whilst I can see that he prefers reds and yellows to blues, he still achieves a wide range of colours, some of which would seem to require a blue pigment in the mix. What’s the trick? Something to do with using the black as a substitute? Zorn is credited to using this limited palette, but not for all of his paintings, some of them have an added blue (probably Cobalt). But it is surprising just how much can be achieved just with using black and ‘loading’ the areas around it with warmer hues, so ‘blue’ appears to the eye, even though it is a mix of Ivory black and white. He could also have added a touch of blue to his black (such as Velasquez did) to have a pigment closer to Blue Black such as Paul Emsley did in the portrait I discuss in this post: Are these 3 black paint myths holding your painting back? I might do a demo on it though, because it is amazing what can be achieved with such a limited palette. P.S.You might be interested on this article on the Zorn palette on James Gurney’s blog. There is a nice image of the Artist himself with the paints displayed on his palette. Thanks for the reply, its really interesting to see what can be done with limited pallettes – less is definitely more in my opinion. I love the grey / red / gold tones of the Zorn portraits and I’m keen to have a play with those colours myself – cheers for the inspiration ! PS you could add ‘impasto’ to your glossary. You’re welcome Dave, yes, there are some fab tones in his portraits. Good call for the Impasto! Thanks a lot… I mean a lot! Thanks for the mention and especially for granting my request. I’ve copied it so I cannot forget those words. And another question. (Sorry if I’m being naughty). Can you cite different types of paintings and their definition? I appreciated it a lot! But I know this would help me! I’m working on some other painting Glossaries at the moment, and I’m sure painting styles and their definitions will come up! Thanks for the glossary, so informative with clear explainations, there is so much to learn ! !, I got into watercolours a few years ago but really want to have a go with acrylics. Thanks for the generosity and inspiration. You’re welcome, thanks for your kind words. I came across your website a few days back and would like to sincerely thank you for sharing all this valuable information. I have been thinking of painting for a long time but finally gave up hesitating and started painting with acrylics about 2 months ago. There is so much to learn!! Your website has been really helpful with techniques, choice of paints (ouch..I wish I had known about it earlier and not gotten student quality paints but….) and basically everything for a beginner like me. I have a couple of quick questions: you mention that Phthalo blue is a good paint to make subtle green..can I substitute Cerulean blue for the same? Also, is burnt umber good as colored background for any painting or certain colors are better with it? Thanks, again, for your time and the wonderful website. Glad to hear you’ve picked up the paintbrush! Phthalo blue is a good paint to make subtle green..can I substitute Cerulean blue for the same? Phthalo blue is a very good paint for making vivid greens, you can watch my mixing green video to see how intense they can get, for a subtler mix have a look at the black and yellow mix in the video. But Cerulean blue is a similar colour to Phthalo blue, just not as intense. Is burnt umber good as colored background for any painting or certain colors are better with it? It depends, I use Burnt umber as it is a great all rounder, however you can change it depending on the feel of the painting you’re after. For example, on landscapes I’ll often use a Yellow ochre, for portraits a Raw umber because it is a cooler base that works well with warm skin tones. Thanks, Will. It sure helps. You are such a generous person to share your knowledge with others. I hope that you are richly blessed! Thank you! Am thrilled to come across your tutorials on youtube. Thanks for posting a great lot of detail in an easy to comprehend format. Best instruction on how to mix skin tone I have seen. Thanks very much, really pleased you’re enjoying the articles and videos. Skin tones can be tricky, great to hear the video helped. Hi um i’m a beginning artist do you have any advice because even after watching videos and reading your blogs and things, but I’m still really kind of clueless. Please help. 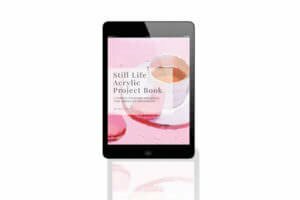 Hi Stephanie, the best way to learn about painting it to actually start painting, so I would start with one of the free simple acrylic courses. Take things step-by-step and it will all begin to make sense! Thank you so much for your advice and videos. I joined your site yesterday and I couldn’t stop reading and watching your video until late night . So much I have to learn , your site is so informative and easy to read . Glad you’re enjoying the website and finding the videos helpful. thank you very much for all the information on your website! You really know how to explain things in a simple manner and with some humor added to it, it’s really wonderful to read and watch! I still had a question regarding acrylic mediums. I’ve watched your videos and read your articles but I don’t really understand the difference between acrylic medium and acrylic glazing medium. Aren’t they both doing the same thing? One more question about mediums. What would be the best choice in order to be able to blend for a longer time: the acrylic glazing medium or the acrylic retarder? Thanks for dropping by and glad you’re enjoying the website. Acrylic medium and glazing liquid are extremely similar. There are slight differences, say if you wanted to extend your acrylic colours, the acrylic medium would be perfect as it is a is a more general purpose medium. If you were working in thinner glazes and wanted a longer working time, then you’d go for the Glazing liquid Gloss. Acrylic retarder is slightly different as you can only add 15% ratio to your paint mix, but it does do the job of keeping your paints wet for longer. Personally, I just really use the Glazing Liquid Gloss for extending my colours, extending the working time of my paint and for fine blending because I can use it in any ratio I want and the differences are so slight between the mediums, I’d rather use one medium and keep it simple. Thank god I have found this amazing site! I’m an art history and theory teacher in the middle of nowhere western Australia whose been landed with painting – acrylics – as a class to take to another even more remote place. I’m blessed to have an art job but I left acrylics long, long ago at school, not even art school. I’m not so scared anymore having spent all day and night on your site. Infact I’m looking forward to it! Thanks for dropping by, really pleased to hear you’ve been able to breath a sigh of relief and are looking forward to spreading the acrylic knowledge to western Australia! This is my first visit to your website. I’m so glad I stumbled upon this wonderful link while trying to get some help on knife painting with acrylics I’m working on right now. The best part I like about this is it’s so friendly in its entire approach. And obviously it makes it much more fun to learn. This is definitely going to help me as I explore this world of imagination. Hi Vandana, thanks for the lovely comment and great to hear you’re enjoying the website. In order to protect and preserve oil painting we use varnish. What do we use in case of acrylic painting? In acrylic you do exactly the same, and apply varnish to preserve and protect the painting. With acrylics you usually apply an isolation coat so you get even finish with the varnish, and can remove the varnish in the future without damaging the painting surface. You can read an article about applying an isolation coat here. Thanks,your article is a great help. In fact your entire website content is learner friendly. You are a great teacher. Cheers Sarah, pleased you’re enjoying the lessons. Thank you much for all your posts, videos and instruction. You are a great teacher. I appreciate the way you explain things and keep them simple. Thank you lots for offering this for free. You rock! You’re more than welcome Maria, so pleased you’re finding the videos helpful in your painting. I’m so excited to have found your website and art school! I have learned so much already! I’ve been painting for a couple of years in watercolor and colored pencil. I’m getting ready to start painting with acrylics, and I’m a little bit scared. I have a question I’m wondering if you could address. If I am going to have quite a lot of sky showing in my painting (a sunrise), and I paint the whole canvas with an undertone as you’ve instructed, what color would you suggest using? Would you still go for the yellow ochre? Hi Susan, the yellow ochre can still work well for sunsets if you add a touch of titanium white to it so the colour is more like a naples yellow, but depending on the colours within your sunrise and the mood you’re trying to create you can change and vary the ground colour. Try making 4 or 5 small tester swatches in different coloured grounds and then paint a very basic sunset over the top, this way you can judge which colours suit your image the best. Thanks for this glossary. I’m still in my “getting set-up” phase and hope to start painting this weekend. Your website is great! I do have to learn the terms and phrases, but I find that in addition to learning the painting terms I’m also learning (me being American) the Queen’s English. I have learned “high-street” vs “off-the-peg” and “treacle” just today! I am really enjoying this, thank you again. Cheers Richard, really pleased you found it helpful, and learning ‘treacle’ is a valuable asset! Hi John, really pleased you’ve found the Glossary helpful and enjoy exploring the site. Thank you for the Glossary Terms for Acrylic and Oil. Do you do water colours? If so do you have Glossary Terms for Water Colors. Hi Ramona, pleased you’ve been finding them helpful, I don’t currently have a Glossary for watercolours. Its just fabulous Will how you have broken down the elements into such simple lessons ! and the glossary finally finally cleared so many of my doubts with my acrylic painting techniques . You’re welcome Prackriti, pleased you’ve found the painting glossary helpful. Hi Will thank you for the site and the info, I have a question ? I have been teaching art in all mediums for 15 years and only last week was confronted with a question by a student that I was stumped with ??? it is always my desire to find the answer to these type of questions so we can both learn. My question is … how much water can one use with acrylic paint? I have used it just like watercolour both on paper and canvas over many years and had no problem at all ! Sold many pieces and have had no problems or recalls. So it was with much query when I was told by two of my ( mature age ) students that they had been advised by their previous teacher (TAFE) to NEVER use any water with the paint as it will disable the binder. can you enlighten me to the possible answer please. How much water can one use with acrylic paint? There isn’t really a one-sized fit all answer. The ratio you use and amount of water or type of acrylic /added binder you use depends on the absorbency of the surface you’re painting onto, the type of paint you’re using, the effect you’re after and the stage of the painting you’re working at. Many paint manufacturers have a 30%-50% water to paint ratio to preserve paint/binder adhesion, however, in practice on some stages of a painting I purposely dilute with water to create a paint film so the surface is more chalky and absorbent for the next layer of paint I’m going to be painting on top. For very thin layers of glazes on the final stages I will use a glazing liquid, but for early stages of underpainting having too much binder can create a less absorbent shiny surface. So I work in a more ‘fat over lean’ oil painting style with turpentine being replaced with water and the oil being replaced with glazing liquid. If students are feeling overly worried about the lack of binder using a fluid medium or airbrush medium instead of water will give 100% binder, but change the handling property of the paints. Love what I have seen so far… I’m a newbie and plan to hang around for awhile. One term that keeps surfacing on tis sight is “LIGHTFASTNESS”. Could you please elaborate? Thank You for so much information! Hi Frank, lightfastness is how the pigment fades when exposed to light: Below is from the Glossary of oil painting terms. Note: this should not be confused with Permanence which refers to the chemical stability of the pigment in relation to any chemical or environmental factor, including light, heat, water, acids, alkalis, or mold. For example, the pigment Ultramarine blue is extremely lightfast, but it will fade if brushed with a dilute acid. glad to have stumbled upon your website. Just wanna say thank you for the comprehensive and easily digestible tutorials, they learning so much easier and fun! I would definitely love to attend your classes if i get the opportunity to! Pleased you’ve been enjoying the tutorials Venessa and finding them simple and easy to follow. Hello Will! Thank you for all the wonderful online classes. It really has motivated me to finally start painting. Your classes are amazing and I recommend them to everyone who asks about painting. I am currently working on the seascape but I have a general question regarding a tonal ground. I seem to going through a lot of golden paint artist quality raw umber and white. Could I use a student grade paint for the ground? or is it beneficial to use the artist quality paints on the ground? Thank you for any advice! Hi Joe, pleased you’ve been enjoying the courses, yes, you can use student grade paint for the coloured ground, in this demo you’ll see me using pale umber from the Winsor & Newton Galeria range that works well. I’ve taken four courses so far – plus done some of your excellent free tutorials. Just purchased two more courses – thank you! My question is this: you talk about “movement” in at least two ways: the eye movement that a viewer uses to view a picture and the movement in the background of a still life – or “adding movement” to the background. I don’t understand! I don’t seem to be able to sense what you mean about viewing a picture – I’ve tried to “catch” my eye movements, but I’m not sure I can. Also, just mystified by the idea of “movement” in background of a still life, like the cherry still life. Imagine a canvas that’s painted solid black. In general, eye would stay still, no movement. Now Imagine the same canvas with a small grey dot on the left-hand side. Your eye could not help but be drawn to the left of the painting – ‘moved’ by the placement of the dot. If you imagine the same canvas now with a white dot on the right-hand-side, how would your eye move around the piece? It would go to the right dot first (due to the higher contrast) and then move to the left dot. So we’ve been able to control the viewers gaze by the placement of contrast and shape, even though this is an extreme example. “movement” in the background of a still life, like the cherry still life. Again, imagine the black canvas, painted flatly like a wall – no movement. Now if you painted the same surface with thick textural marks in diagonal strokes you would have created a subtle movement through the texture and paint application. I’m 72, getting into acrylics and trying to learn watercolor painting. Several,friends and,relatives,have my paintings. My candle is getting short so I have to get,across,Texas pretty soon!!! Hope you find the website helps to speed your learning curve Romona! Thank you for the brilliant glossary, which I found really interesting and informative. Forgive me if you have already explained this one: ( I haven’t managed to read all the many comments and questions ) what I wanted to know is, what is a hue, please? Is Cadmium yellow hue different from Cadmium yellow dark, for example? Hi Lynne, nice to hear from you. The word ‘Hue’ can be used in two different ways, the hue of a colour, for example, that vase has a blue hue. Or as a way for paint manufacturers to label paints that have used alternative pigments to try and replicate a single source pigment. So a Cadmium Yellow Hue is a mix of two more pigments, whereas a pure Cadmium yellow would be a single pigment. You can read more about it here. Thanks for all the information on this website and all your fabulous tutorials, I am learning a lot. Is there a big difference between the ultramarine blue from golden vs the one from Winsor and newton? I have recently purchased the floral still life course and was wondering if it would make a big difference if used the golden one? Hi Rosalyn, so pleased you’ve been enjoying the lessons. The Winsor and Newton Ultramarine blue is very slightly cooler than the Golden but you’ll be able to mix the same colours, you might just need a touch more yellow in the mixes. Really hope you enjoy the course.